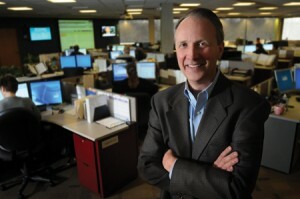 Dean Lindstrom, EE’79, has seen the world and is ready to help cut its energy bills. A good salesman knows that the keys to a successful sale are trust and responsiveness. Kent Lynn, CE’85, is one of those salesmen. Work is under way on a new — and much larger — facility to house Missouri S&T’s student design teams. Once a year, students from around the world get together to test their knowledge of the oil and gas industry in the Society of Petroleum Engineers’ PetroBowl. 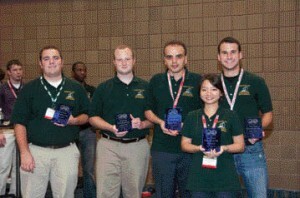 Missouri S&T’s student chapter of SPE recently placed second in their first-ever competition, which was held in New Orleans. Missouri S&T’s EcoCAR team unveiled its entry for EcoCAR: The NeXt Challenge during a ceremony last October at the campus’s E3 Commons. 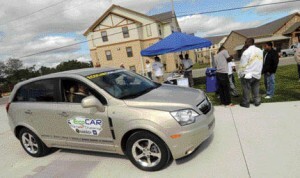 The S&T group is one of 17 university teams from the U.S. and Canada involved in the competition, which requires each team to re-engineer a 2009 Saturn Vue to become more energy-efficient. The S&T team plans to turn the Saturn into a hydrogen-powered vehicle. Fort Leonard Wood has been in the Ozarks for nearly 70 years, but what goes on there is a mystery to many. Last fall, three Missouri S&T technical communication students worked to change that by making the military base’s internal operations more accessible to the outside world. Joel Burken was elected vice president of the Association of Environmental Engineering and Science Professors and is on track to lead the organization in 2011. Burken, a professor of civil and environmental engineering, is also interim director of the Environmental Research Center. 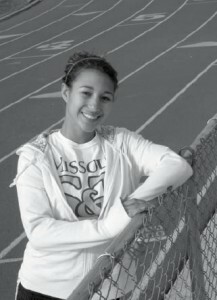 Christine L. Laughlin, a major in the Kansas City (Mo.) 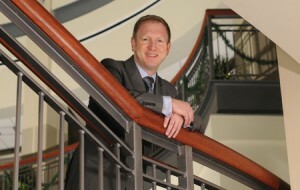 Police Department, began work as chief of university police at Missouri S&T on March 22. She replaced William C. Bleckman, who retired in January after a 37-year career at S&T. Sahra Sedigh was one of an elite group of young engineering faculty members chosen to take part in the National Academy of Engineering’s first Frontiers of Engineering Education symposium in Herndon, Va. Sedigh, an assistant professor of electrical and computer engineering, developed the Flood Frog, a wireless, battery-powered device for monitoring infrastructure that could help engineers gauge wear and tear on bridges and catch problems earlier. W. Eric Showalter is lecturing about sustainable construction at the Tallinn University of Technology in Estonia through a grant from the Fulbright Scholar Program. A lecturer in civil, architectural and environmental engineering and faculty advisor for S&T’s chapter of Engineers Without Borders, Showalter is blogging about his experience at www.fulbrightestonia.blogspot.com. Missouri S&T’s Army ROTC program received the Best Battalion Award for the 3rd Brigade, which includes 42 programs from 10 states. 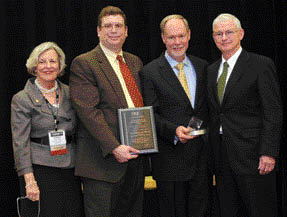 This is the first time S&T’s program has received the honor. The program also received the Most Improved Battalion and First Place Commissioning awards. Missouri S&T received 20 awards for excellence in alumni relations, video production, fundraising, media relations, institutional relations, graphic design and institutional identity from the Council for the Advancement and Support of Education (CASE) during the CASE District VI conference held Jan. 10-12 in St. Louis. The advancement team earned the sweepstakes award for the fourth year in a row for best overall institutional advancement program in the enrollment category of 5,000-7,499 students. Chancellor John F. Carney III received the Chief Executive Leader of the Year Award in January from the Council for the Advancement and Support of Education’s District VI. He was recognized for leading the university through its name change and academic reorganization, emphasizing energy and environmental research, and bolstering alumni support through the campus’s $200 million Advancing Excellence Campaign.